Google and Rackspace cooperate over creating a new server configuration based on IBM Power9 processors. The design is expected to be shared as part of the Open Compute Project. The hardware set will include 48V Open Compute racks by Google and Facebook collaborative development. IBM POWER architecture is targeted on the customers whose operational requirements include high performance with huge amounts of data (AI developers, scientists, government). 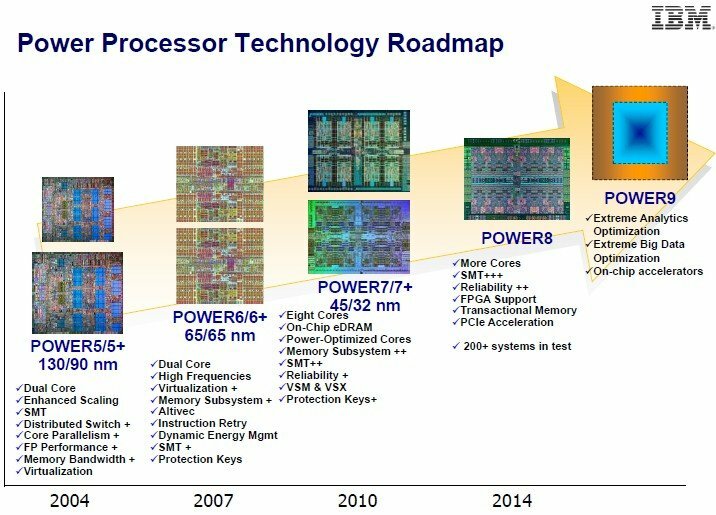 Power9 CPUs are due to arrive in 2017. Rackspace’s plans regarding a new system codenamed Barreleye (their first server using OpenPower technologies – the Open Compute Project and OpenStack) will also be justified. Also, IBM promises to add Open Compute Project-compliant systems to their Linux-based Power equipment to cover cloud-based cognitive and analytical software. Finally, Big Blue will introduce a 2nd-generation OpenPower server for HPC workloads (Nvidia and Wistron involved) with Power8 CPUs and Tesla100 GPUs connected via NVLink.